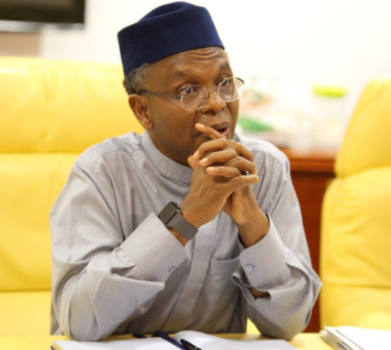 Competency test: Kaduna state govt vows to dismiss any teacher absent from duty as teachers in the state begin indefinite strike today ~ Nigerian news platform bringing you News in Entertainment, Politics, Sports & Lifestyle. The Kaduna state government has vowed to dismiss any teacher that is absent from school today as all public schools in the state resume for the next academic session. This warning came on the heels of the state chapter of the Nigeria Union of Teachers beginning an indefinite strike in the state to protest the planned sack of over 21, 000 teachers that failed woefully in the competency test organized for teachers by the state government last year. The state NUT Assistant Secretary-General, Adamu Anglo, in a statement released today, said the decision to embark on an indefinite strike became necessary after the state government began issuing sack letters to the affected teachers after the Christmas and New Year holidays. It has come to the notice of the Kaduna State Government that the state branch of the Nigeria Union of Teachers (NUT) has declared an indefinite strike. This is an illegal action, and will not achieve its aim of derailing the education reforms being implemented by the government.